Sandals Resorts truly dominate Jamaica when it comes to the number and variety of resorts they own. Besides our personal favorite, Sandals South Coast, Jamaica is also home to Sandals Montego Bay, Sandals Royal Caribbean, Sandals Royal Plantation, Sandals Negril, Sandals Ochi, Sandals Inn, and the family-friendly Beaches Negril and Beaches Ocho Rios. Sandals South Coast, formerly Sandals Whitehouse, is a completely reimagined 5-star luxury resort that captures the unique and charming vibe that Jamaica’s South coast is known for. One thing that is especially unique to this resort because of where it is situated on the Caribbean Sea, is that you can watch both the sunrise and sunset on the 2‐mile stretch of pristine white‐sand beach– the longest beach of any Sandals resort! Even more intriguing are the exotic, thatched roof, palapa-style bungalows perched above the Caribbean Sea. These modern, luxurious bungalows offer a secluded, romantic oasis complete with glass floors, soaking tubs, outdoor showers, over-the-water hammocks, a patio and swim platform, and personalized butler service. No need to shell out thousands for a flight to Bora Bora or Fiji, you can check over-the-water bungalows off of your bucket list at Sandals South Coast in Jamaica! Right in the heart of Ocho Rios sits Palace Resorts’ newest hotel and first in Jamaica, the Moon Palace Jamaica Grande. We had the pleasure of staying here in October for the Palace PRO Awards Gala (read about Enchanted Honeymoons Travel taking home the award for Top-Producing Store-Front Agency here). This quickly became one of our favorite resorts in all of Jamaica! Everything from the staff to the food were nothing short of superb. There are also plenty of activities to keep guests occupied. Along with its close proximity to downtown, the Moon Palace can organize a dolphin swim or a sunset cruise. 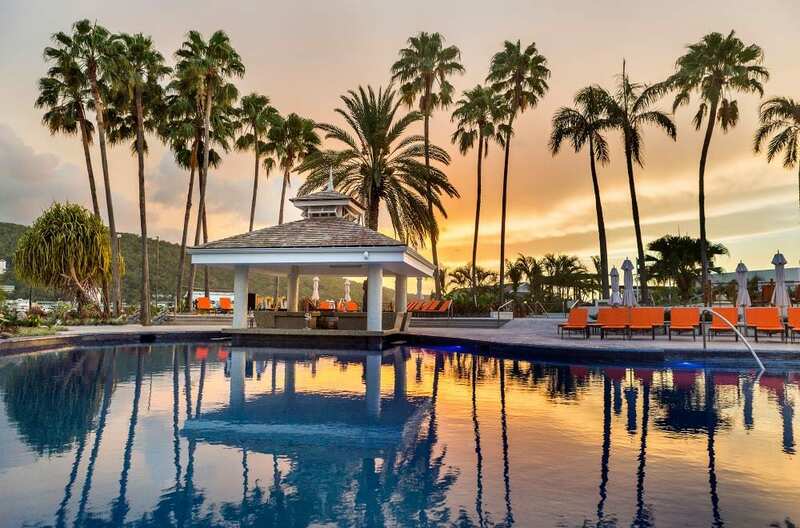 Back at the resort, guests can unwind on the property’s white sand beach, lounge around four pools, or pamper themselves at the Awe Spa or the on-site beauty salon. Kids aren’t left out, either: The Playroom features games and offers supervised activities. Adults, meanwhile, have access to a swim-up bar and a nightclub. Lastly, The Hyatt Zilara and Ziva Rose Hall are two connected hotels in the Montego Bay area of Jamaica. 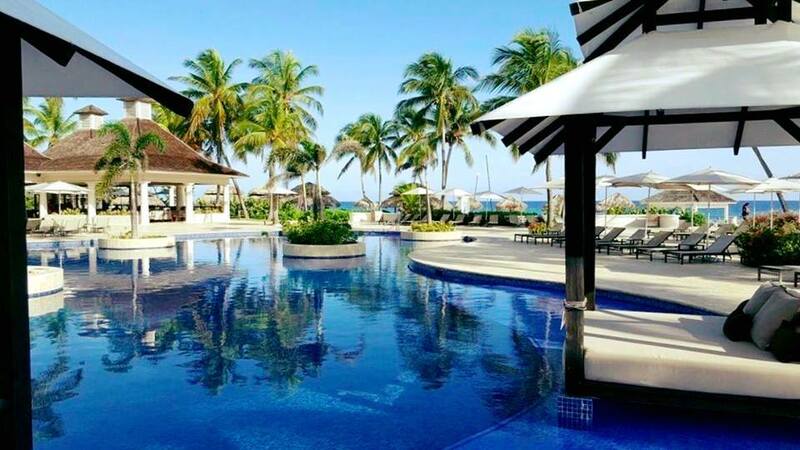 The lobby of the Zilara is open-air, with a beautiful view of the pool area and the Caribbean. The resort sits on a beach running east to west, with a short walk from room to sand. One side of the resort faces the beach, and the other side has views of the tree-covered mountains. The primary spa–Zen Spa–is at the Ziva property. The spa offers salon services and includes a bridal suite which adds to the resort’s allure as a wedding site. It is very impressive! Guests at the Zilara have access to 11 restaurants, while guests at Ziva have access to a subset of these. Our three favorite restaurants are definitely Di RoZa, FuZion, and CalypZo.